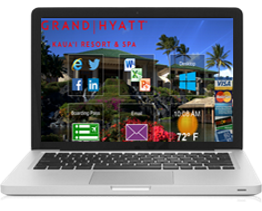 A U.S. based software development company since 1999, GSA is dedicated to creating self service applications for the hospitality industry. GSA also offers custom development to suit the unique needs of a diverse customer base. 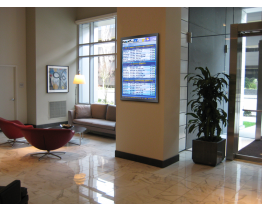 Global Software Applications is the parent company of SurferQuest business center solutions, Flight Time TV digital flight status and Here2There interactive wayfinding. Choose from our proprietary products and custom development services. Starting with your idea, a plan will be created to bring your vision to life. Development and design will be based on your specifications, as each custom application is built to suit. GSA combines expertise in software programming with an unmatched dedication to client satisfaction to ensure that products exceed expectations. 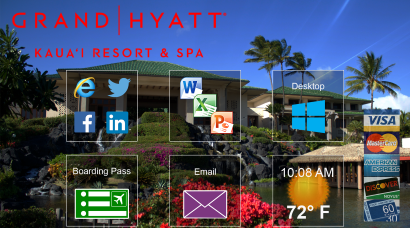 We provide a variety of secure, self service applications and interactive digital signage solutions. Our goal is to assist you in providing your guests and customers with products that offer ease of use and total convenience.  Global Software Applications works with the National Center for Missing and Exploited Children (NCMEC) to provide a complimentary screen saver to display recent and past cases to assist families and law enforcement in bringing children home. Ask GSA about obtaining your free copy today. A membership based system that allows the user to dispense ice for their private use for a monthly fee. A self-service shipping kiosk allowing users to create shipments and providing necessary supplies. A self-service tanning solution that allows members to start their own tan sessions. A full directory of the most highly regarded sports and track sites on the internet. A public seating area that charges users to charge their laptop, or other portable electronic devices. A web-based wayfinding system that allows visitors to obtain walking directions between buildings. Ice Key is a system that allows members to dispense a specified amount of ice on a daily basis. After subscribing to the system, the user swipes their card at an ice machine to start dispensing ice. This project required combining multiple systems to work together. An activation console provides the ability for retail locations to activate the membership cards. 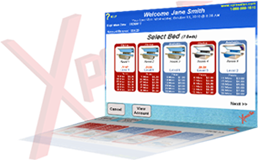 A web-based system provides the user access to their balances and purchases. 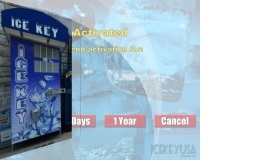 A ruggedized platform is installed in the ice machine to validate a membership card, start dispensing ice, and automatically stop after a specified time. Hardware integration includes card readers for both the activation station and the dispensing station, as well as an LED display and a dispense button on the ice machine. A prototype control box to house the dispenser controls was also built. 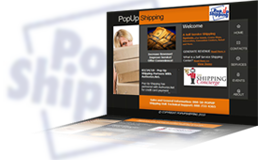 PopUp Self-Service Shipping is a self-service kiosk-based system letting users weigh, prepare, package and pay for shipments while conveniently having all associated items available at the kiosk. Users have the option of shipping via FedEx or UPS. Developed to act as a kiosk-based "concierge" service, PopUp Shipping is ideal for resorts, cruiseships and universities. XPressTan enables the client to manage member profiles with a database of customer contact information, account balance, issuing of membership cards and more, as well as more daily hands-on applications such as regulating the number of beds in use to tracking revenue. XpressTan also provides the client's customers with a secure area where they can review/add to their account balance, view prior sessions and more. Peppermill Resorts SportsBook is the largest privately-owned gaming company in Nevada. Among the "Top 10 Casinos in America", Peppermill has maintained a strong commitment to offering customers outstanding service with top-of-the-line amenities. 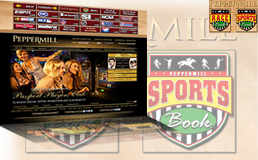 Peppermill Resorts SportsBook provides a full directory of the most highly regarded sports and track sites on the internet so guests can always browse the most updated information, stats, scores and more. 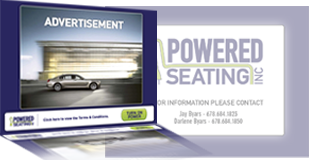 Powered Seating is a power-source seating area residing in public places where a user can pay via credit card or bill acceptor to use the machine's power outlet to charge their laptop, or other portable electronic devices.  The user interface is designed to provide secure payment methods utilizing an interface developed to provide clear, easy-to-follow instructions in several languages. While the outlet was in use, advertisements are displayed to the user. A custom power switch was integrated to control the outlets so that power is enabled after payment was received. 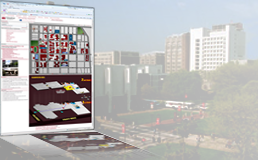 Temple University's Wayfinding System (ROUTE) helps students and visitors find directions from any building to any other building on campus. 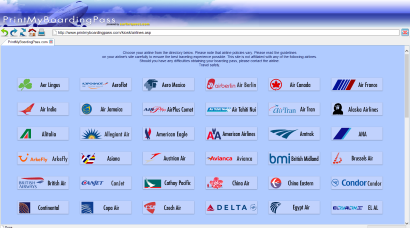 Users can enter start and end points, or use the directory listing to find locations. 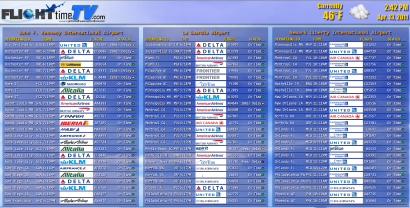 Once generated, the interface shows external and internal directions in both graphic and text formats. The sidebar also offers an image of the building for which they are looking, a listing of departments it holds, and other information. Temple's system is also fully ADA compliant. Secure business center software that protects your computers and ensures the safety of your guest's personal information. 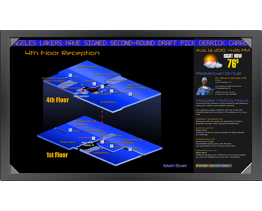 Interactive digital wayfinding for kiosks, mobile and web devices. 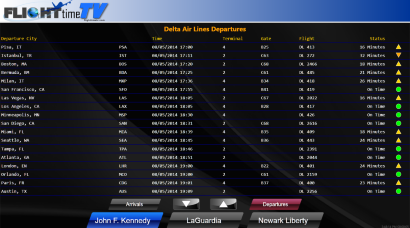 Broadcast real time flight and airport status on guest screens and digital signage displays. 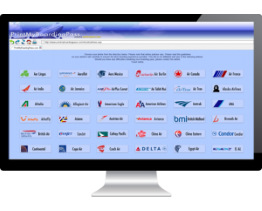 Provide your guests with a convenient portal to easily access and print their boarding passes. © Global Software Applications. All rights reserved.